“For more than half of his life, my son has preferred dolls, toys and clothes that are marketed to girls. It started when he was two and a half and he picked up a Barbie and refused to put her down. He’s gone through all of the toy phases that girls his age usually go through. Barbie gave way to Disney Princesses gave way to My Little Pony gave way to Monster High. This entry was posted in All Posts and tagged American Girl, American Girl Doll, Christmas, gender creative, Orange County, parenting, Raising My Rainbow, Salon, Salon.com. Bookmark the permalink. My daughters friend who is ten likes AG dolls. He’s also really into robots and Legos, just like my daughter is. I think it’s great. I’m wondering if your son still likes his Julie doll? I agree there should be boys in catalogues! I don’t know if you guys are down with ‘comparative religion’ but I wonder if CJ would have fun with a ‘Fulla Doll’? It’s kind of like the Muslim Barbie, my – as yet non-religious – niece enjoys making hijabs out of different fabrics, adding a new garment/accessory to the mix. My son really wants a boy doll so bad. I can’t seem to find anything and he really wants American Girl doll. Why can’t they make a few boy dolls too. I have some friends who have boys who want dolls too. It is so frustrating, you find a doll (boy) but then you can’t find any clothes for it. My son loves dressing up my daughters girl dolls. look at the My Twinn dolls. You can customize a boy doll there. Sorry to post again but http://www.sew-dolling.com/boys_dept.htm also has a few cute boy dolls. They are a little thinner than American girl dolls but a similar type of doll and they have a great selection of outfits. I think the My Twinn dolls are 23 inches. 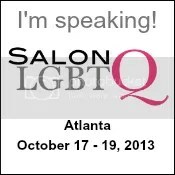 I was so shocked by the horrible comments on Salon.com! I just wanted to comment on here on how wonderful you are in being so supportive of your son’s gender preferences. Maybe people just don’t get it without a long introduction (like, say, reading this entire blog). They seemed to think you were raising CJ to be gender-neutral, not accepting his choices! I was shocked too since salon.com is a progressive site. I would have thought I was on a Fox News site or something with the tone of those comments. It’s disconcerting to me to see such a display of willful ignorance. I don’t know what is so hard to believe or understand about gender being hardwired and it may or may not line up with one’s body. I’ve never understood where all the fear comes from over it. Seriously, we are talking about a small child playing with a toy. How in the world do some people find that threatening? It would be laughable if it wasn’t harmful to these kids but it is and that makes it anything but funny. Wish I could say I was shocked. I’ve seen worse. 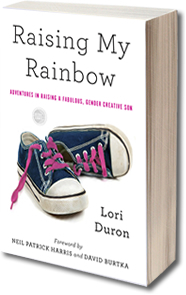 People who are open-minded about boys playing with dolls: either they’re not going to feel moved to comment (in that poisonous atmosphere), or they’re already reading Raising My Rainbow. Most parents have come around to believing it’s unfair to forbid their daughters from playing with any toys which suit their interests. Fewer will extend similar freedom to their sons; seeing a boy playing with a doll makes them extremely uncomfortable. In my preschool–at age four, in the late ’60s–I was surrounded by all the teachers, who loomed over me as they expressed their disapproval. By picking up a doll, I’d done a terrible thing. I was deeply ashamed, and never did it again. Progress is being made! But not quickly. My grandson 7 year old has not been introduced to the American Girls yet but he got the full set of Monster High dolls, all of the Pixie Hollow fairies, Elsa from Frozen and a new rabbit from Build a Bear complete with skating outfit and Rapunzel formal dress. He has been playing with Barbies since he was old enough to choose his own toys. He wears dresses and high heels. I only wish there was a way to connect with other parents of gender non-conforming children to set up play dates and support groups. I want him to be with other kids who have the same interests so he can dress in his dresses and show off his newest dance moves! Any suggestions?? My daughter just started up a meet up group for boys who are gender non-conforming. Hopefully we hear back from other parents with gender non-conforming children. It’s funny, my son really prefers to play with girls. There is another boy in his class who is gender non conforming and they get along, but don’t have much interest in playing with each other. Thankfully first grade girls still like to have play dates with boys although I was laughing one day when my son came home and said in his best diva voice with hand on hip…”Mom, I don’t know what it is with girls, they are just so sensitive about everything.” I told him to get used to it:). Children’s National Medical Center has a support group for families, a parent listserv and a summer camp for kids. Fantastic, as always. I hope he loves his new Julie doll! Don’t forget to send these articles to American Girl so they can change their marketing and include boys who want to play with dolls. I sent a copy of Lori’s article to them asking them to help CJ get his wish. I invite others to join me in sending them the article. The more merrier. It might make a difference. I’m amazed at how pink, how vibrant the “girls” aisle is compared to the drabness of the so called “boy” aisles. Adults, as much as children, of both genders have to be drawn to one over the other. Is it any wonder? Merry Christmas to you and your family! I hope C.J.mwas happy with Julie and his other gifts and that Chase also loved his gifts. Best wishes to you all in the new year ahead! There are many times when I read your posts and am amazed how similar some days in our lives are. The American girl catalog arrived this fall, my son saw it and it was love at first sight. I’m happy to say that Rebecca is now tucked in tight in her new bed beside my son. I highly recommend the knock off My Generation doll bed by Target. The red scroll iron bed is adorable. Hi there! I must share! My son’s Rebecca doll is happily tucked into her My Generation bed right now too! So cute! Love that your son has rebecca too. Did you know the dolls need a special wire hair brush? I just learned that from my sister in law. We’ve had at least 25 hairstyle changes in the last 24 hours so it looks like I’ll be buying the brush. Another fantastic, inspiring, on-the-money post. THANKS, Lori, for raising your 2 sons so well; for educating all of us, and for doing it with both a carrot and a stick. Here’s to a happy, healthy and gender-intelligent 2014!